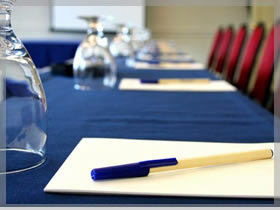 Planning your meeting or conference? Planning a corporate event or meeting? The larger of the two can accommodate up to 20 people for a seminar, board meeting or training session. A separate, smaller conference room can accommodate up to 8 people for a small meeting or as a syndicate room. At the Chatsworth Hotel we want your business meetings to run like clockwork. Our Business Team bring a wealth of experience in creating and delivering exceptional meetings and events.